Some of the items in this auction may be subject to regulation by the U.S. Food and Drug Administration and state and local regulatory agencies. Important Note: Most of the medical equipment pieces need regular preventative maintenance and recertification before use. Your registered credit card will be AUTOMATICALLY CHARGED within 48 hours of the auction close date. Contact us before this time to make other arrangements or change your invoice for Bank Wire or Cash Payment.Thank you for registering for Big Medical Auctions. We attempt to provide pictures with units powered-on, but if you need additional images or information please contact us.Shipping services are available onsite for a nominal fee. Email packandshipfreight@gmail.com for packing and/or shipping quotes. Include lot numbers as necessary.After the Auction - Please REVIEW YOUR INVOICE CAREFULLY. Your Registered Credit Card WILL BE AUTOMATICALLY CHARGED within approximately 48 hours after the Auction Close Time. Contact us by email info@bigmedicalauctions.com or phone 888-350-9992 SHOULD YOU WISH TO MAKE OTHER ARRANGEMENTS. We accept VISA, Master Card, American Express, or Discover. The items will close in the order listed on the website. This Auction will feature automatic bid extension, which will grant a 3 minute extension to the end of the auction of any item receiving a bid during the last 3 minutes. The item will close when 3 minutes have elapsed without any bidding activity. 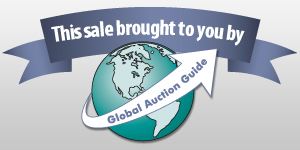 All internet bids are treated as if they were given at a live auction. All Bidders will be held accountable for their internet bids. Your internet bids are a contract and you are responsible for honoring them.Payment in full is due no later 3 business days after the close of the Auction. Invoices where Grand Totals exceed $10,000 USD must be paid via Bank Wire.The Removal Deadline for all items in this auction is 7 business days after the close of the Auction. Please contact us before bidding if special arrangements are necessary for an extension. On-site shipping company Pack and Ship Freight is recommended for packaging and freight services.Buyer must also pay all sales, export, use and other taxes due to any federal, state or local taxing authority as a result of Buyer's purchase, including without limitation, any taxes arising from any Buyer's Premium. To receive the benefit of any tax exemption, Buyer must supply Big Medical Auctions, LLC with a sales tax exemption certificate. Big Medical Auctions, LLC would like Buyers to feel they have been treated fairly and pay a fair price for the items based on their condition. Please do not enter a bid at a price that is greater than you are comfortable paying for any individual item based on its condition. There will be no adjustments to the final bid price after bidding has ended.All items in this auction are sold on an "AS IS" basis with no warranties or representations whatsoever, either expressed or implied. Neither Big Medical Auctions, LLC nor the Sellers make any warranties or representations of any kind with respect to the property or its value, and in no event shall they be responsible for correctness of description, genuineness, attribution, provenance, authenticity, authorship, completeness, condition of the property or estimate of its value. No statement (oral or written) in the catalog, during inspection, or elsewhere shall be deemed such a warranty or representation, or any assumption of responsibility. WITHOUT LIMITING THE GENERALITY OF THE FOREGOING, THE WARRANTIES OF FITNESS FOR A PARTICULAR PURPOSE AND MERCHANTABILITY ARE EXPRESSLY DISCLAIMED. Buyer Terms: 18% Buyer Premium, 4% Discount for Cash, Certified Check or Bank Wire. Announcement:Information contained herein is presented on behalf of the seller. Big Medical Auctions LLC, agent for the seller, cannot guarantee the information to be correct or assume the liabilities for errors and omissions. All lines drawn on maps are approximate. Buyers should verify the information to their own satisfaction. Any announcements made from the auction block on day of auction will take precedence over any matter of print and will be final. Unico G380 Microscope w/ 100/1.25 OIL, 4/0.1, 10/. Midmark Exam Room Set 74" x 39" x 19"
Midmark Exam Room Set 66 1/2" x 25 1/2" x 39"
Healthway H150-10-5 Digital Weighing Scale (Doesn? Pedigo Mayo Tray with Rolling Stand 21" x 16"